Start small, and then be patient. Now that cannabis is legal for any adult in California to cultivate, possess, and consume, there's a whole new wave of cannabis users. Some of them may be trying cannabis for the first time, while others are getting reacquainted after a long absence. You might think that everyone wants to get as stoned as possible, but it turns out that many people actually have little desire to experience intense psychoactive effects of pot. For these users, the answer is microdosing, or taking small amounts of cannabis, primarily through edibles, tinctures, or even vaping. Why would anyone want to microdose? For people who are new to cannabis, microdosing provides a safe way to get introduced to the plant, and especially its psychoactive component, THC. "I think microdosing is much safer, especially for new people," said Barbara Blaser, the director of clinical services at Magnolia Oakland who offers occasional classes on microdosing. "You don't get that heart rate increase, the fear and anxiety that comes with too much of a good thing." Jaene Leonard, who runs the Compassionate Budtender blog and worked at Harborside for five years, said she usually recommends that newbies start with tinctures. "You can really dose it down and go super slow," she explained. "And there's quick response time. Tinctures, if you're applying it sublingually, you usually feel the effects within 15 minutes." Microdosing is also a good option for people who are more susceptible to cannabis' effects than others. Leonard describes herself as a "lightweight" and says microdosing helps her save money. Don't know if you're a lightweight? Try microdosing to find out. Even though medical marijuana use has been legal in the state since 1996, Blaser said she was surprised at the number of new patients who came into Magnolia after Jan. 1. "They would say, 'I just want to be able to sleep,'" she said. "I'd ask them, 'Well, why didn't you get a medical card before?' And they'd say, 'I didn't want to get my name on the list.'" Blaser, who's 72 and turned to pot after a serious illness in 2013, said she realized that many people have been "self-medicating for years" with street drugs or cannabis. "They have pain, anxiety, insomnia," she said. "We see multiple patients with side effects for chemotherapy. You don't need a big dose. With these new taxes, that's great news for the consumer. A candy bar will last me 10 or 20 days." What's the definition of a microdose? It depends on whom you ask, as well as your individual tolerance. Blaser recommends starting with 2.5 mg of THC every five or six hours for three days, and seeing how your body reacts. Leonard tells people 2.5 mg to 5 mg, while others recommend a dose as low as 0.5 mg.
Leonard said microdosing gained in popularity after New York Times columnist Maureen Dowd famously went to Colorado and tried an edible, which put her in a "hallucinatory state" for eight hours. After she wrote about the experience, Colorado established stricter guidelines on edibles, including dosing restrictions of 10 mg of THC per serving. California's new regulations for edibles also cap doses at 10 mg per serving. 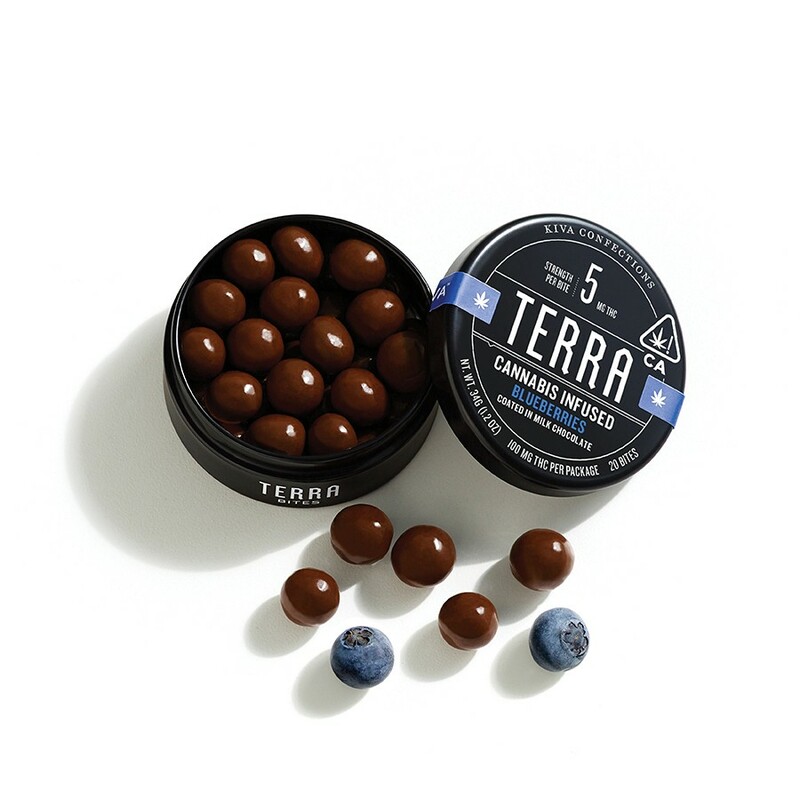 Oakland-based Kiva Confections started making its 2.5 mg Petra Mints after realizing its top-selling product in California was its 5 mg Terra Bites — espresso beans covered in dark chocolate and blueberries covered in milk chocolate. "They're wildly popular because they're convenient, consistently dosed, and beautifully packaged," explained Kiva Marketing Communications Manager Christie Strong. The advantages of the mints are, unlike chocolate, they don't melt, and they're sugar-free, said Strong. (But they do contain xylitol and Stevia). The company's entire product line is microdosed at either 5 or 2.5 mg of THC, she noted. The Petra Mints' 2.5 mg dosage "ensures that no one is going to have an overwhelming experience," she said. She recommends taking one and waiting two hours to assess the effects. (Many people taking edibles wait 30 minutes or an hour, don't feel anything, and then mistakenly take more.) Strong also cautioned that, while individual cannabinoid systems react differently to cannabis, there's also anecdotal evidence that cannabis' potency can vary depending on the circumstances they take it in, meaning you may take the same dosage and feel fine in a familiar environment like your couch at home versus a new situation like a party full of strangers. "That's why it's so important to have a microdose product be your introduction to edibles," she said. But really, Strong said, Kiva's microdosed products are intended to be used for their health benefits. "We really think this is the future of cannabis," she said. "It's not recreational — you're stressed during the day and you take a bong hit and pass out. Instead, you're going to be lightly stimulating your endocannabinoid system throughout the day, constantly getting the anti-stress, anti-anxiety, relaxing properties into your system. It's about integrating cannabis into a healthy active lifestyle and not getting 'stoned.'" Nurit Raphael, owner and founder of Marin County-based delivery service ONA.life, said she's carrying more and more microdosing products. She stocks the Petra Mints, as well as Satori raisins in milk chocolate (which are just 1 mg each), and a cannabis powder by Mondo at 5 mg per scoop. But her most popular microdosing products are the Dosist (formerly Hmbldt) vape pens — sleek devices that vibrate when you inhale for three seconds, the equivalent of one 2.25 mg dose. Their popularity "has a lot to do with the microdose inhale," Raphael said. "You have women who haven't smoked a joint in 20 years and they look at this beautiful device and inhale till it vibrates, feeling confident and in control. It's the future of medicating properly." Rafael said many of her microdosing customers are looking for relief from anxiety and depression, whereas those dealing with insomnia may want a larger dose. Strong says Kiva's Petra Mints can be used for help with insomnia, chronic pain, anxiety, and depression, but she steers clear of limiting their usage. "We think it's better to let people discover it for themselves," she said.